I haven’t painted my nails in so long, so this Monday I’ve made a special effort. With all the baking I’ve been doing lately, it’s clear where my inspiration came from. 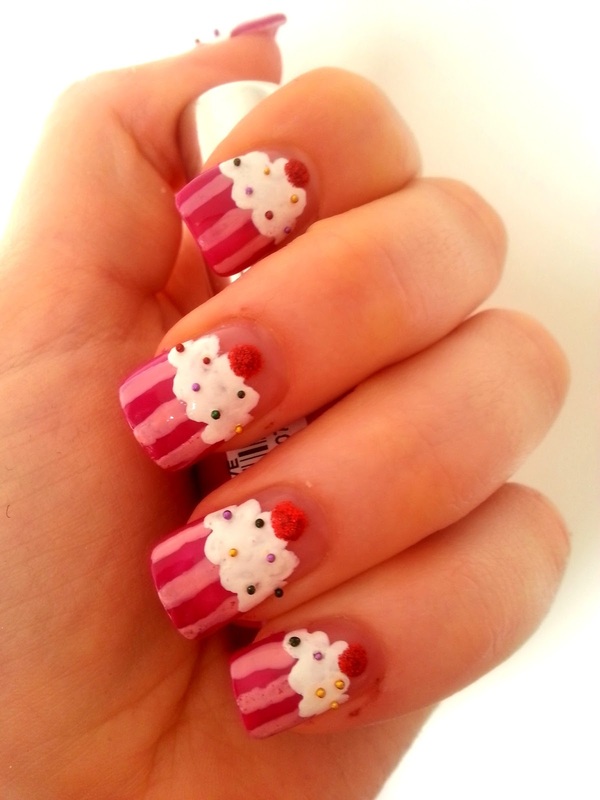 So if you want nails that look good enough to eat, keep reading. 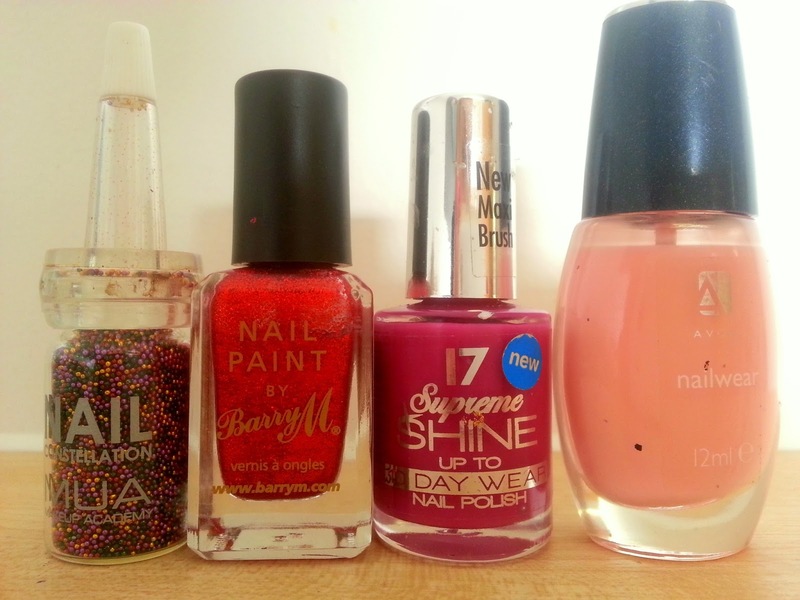 First paint the lower half of your nail with the pink ‘Love’ polish. Once dry, using the brush of the ‘Cotton Candy’ pink in a light stroke, paint 3 stripes vertically down the pink block. 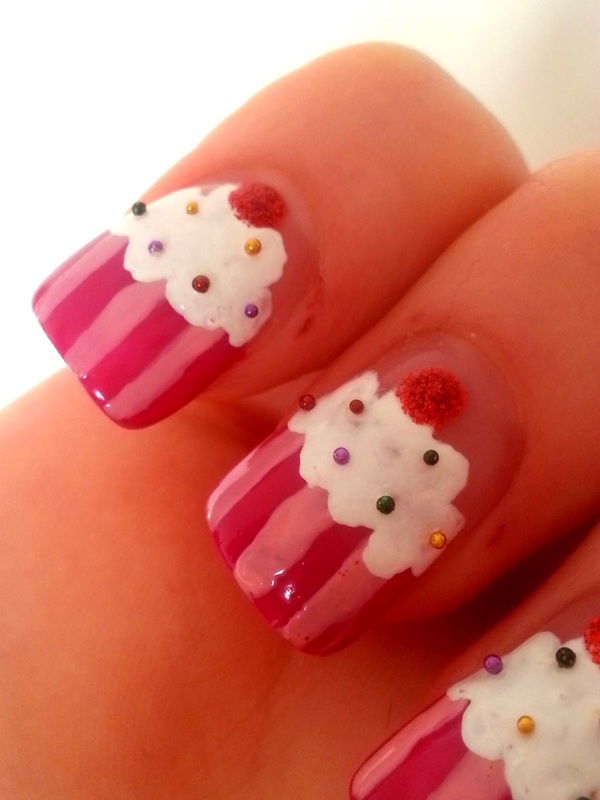 Next, suing the nail art pen, draw your icing outline (think of drawing a cloud shape) and then fill in. If you have a dotting tool, dot a cherry on top using the red glitter. If not, the end of the brush will do. Finally, with some clear polish, dab areas of the white, and then using a pair of tweezers, individually place caviar beads on the white icing. They may look good enough to eat, but just don’t be tempted to try and nibble your nail – as a former nail biter, I can tell you they are not so yummy! By the way what do you think of my new square nail shape? Round of square next time? These are fantastic! I am a nail biter (boo...bad habit) but b/c of all this wonderful nail art on the web and your blog (you are good! ), I am really going to make an effort to stop. Hope you can swing by my corner of the internet. We could follow each other?